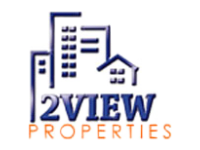 2ViewProperties was created at the beginning of 2006. 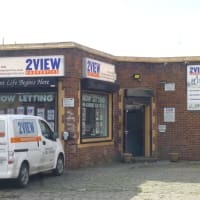 Our mission statement is to provide a quality service to tenants and landlords alike, helping each of our clients get as much from using 2ViewProperties as they would expect, and more! Located on Queens road, in the heart of Hyde Park, we offer letting accommodation to students and professionals. We also offer properties to let for commercial purposes. We wish all new students to Leeds a pleasant time studying here, we also wish you a pleasant stay, and this is where we can help you. Highly recommended if you're new to leeds. fixing up any sort of problems in a jiffy. Just wanted to leave a review for Chris and the guys as they were really good last year in getting us into the place we have just spent a really great year. It did seem a little bit like we wouldn't find something suitable as we were looking for something near enough to Hyde Park amenities, but also not too mad, as we were a group of postgrads. We did manage to find a property we liked, but they were patient with us whilst one of us sorted out his rental paperwork as it had to be sent abroad!! Finally managed to get everything done same day and were treated to some really welcome pizza at about 9pm on a Friday. Thanks to the whole team, one of us is renting with them again and I can happily recommend.